Home English 2.0 video footage has blown away their minds! 2.0 video footage has blown away their minds! Finally, Superstar Rajinikanth’s 2.0 gets a release date. The Shankar directorial sci-fi thriller will hit screens on November 29th 2018. The film has been postponed several times. Shankar is leaving no stone unturned in making it into a magnum opus. He is keen to get the VFX work done on par to Hollywood standards. 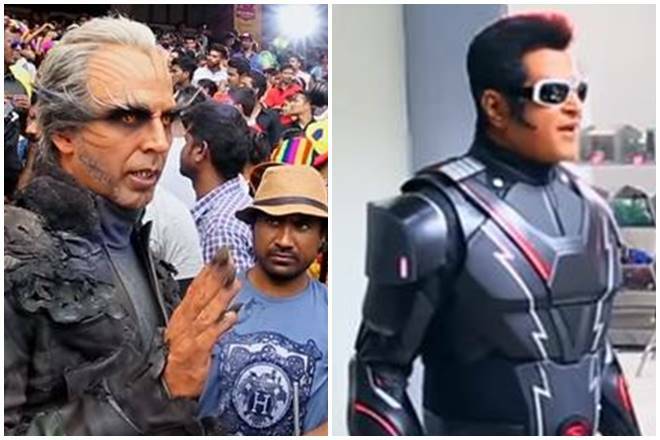 2.0 is being made at mammoth budget of 400 crore. The film has made grand pre-release business with theatrical, satellite and digital rights. Buzz has it that some distributors asked to refund the money as the film is getting delayed. Telugu distributor Sunil Narang is one among them. To restore their faith, makers have screened 15-minute footage exclusively for distributors. It’s a pre-visualization video. Distributors are said to be spellbound by watching the footage. Makers have gained confidence that the film will blow audiences mind as well when it released.